The blog is closing for Christmas. It will re-open on Friday January 25, when we will launch our poll to find the book of the lunar year in the (almost) past Year of the Dog. 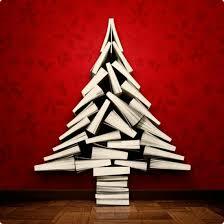 HAPPY READING ONE AND ALL!!!! Agnès Bun is a video journalist for Agence France-Presse, a literary critic for the Asian Review of Books and a published poet. Before the age of 30, she had: reported on the aftermath of the 2013 typhoon which devastated particularly the Philippines; come under fire in Eastern Ukraine; covered fatal earthquakes in Nepal and floods in Sri Lanka; filmed the Rohingya refugees in Bangladesh. 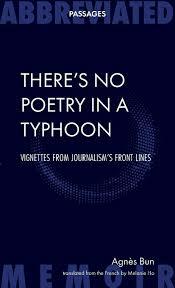 Her memoir, There’s no Poetry in a Typhoon: vignettes from journalism's front lines, translated from the original French by Melanie Ho, enables Agnès to reflect on the moments of guilt and grace she experienced as a reporter, and on the haunted, hopeful faces she came across during her extraordinary assignments. It also enables her to confront her own identity. Agnès is a French citizen born of Chinese parents who escaped the Cambodian genocide in the 1970s. She here describes how writing There’s no Poetry in a Typhoon provided an opportunity for her to reconnect with her multiple roots. For this blog, Nicky Harman interviews Natascha Bruce, who has been on a residency with Dorothy Tse, the noted Hong Kong author of surreal stories. 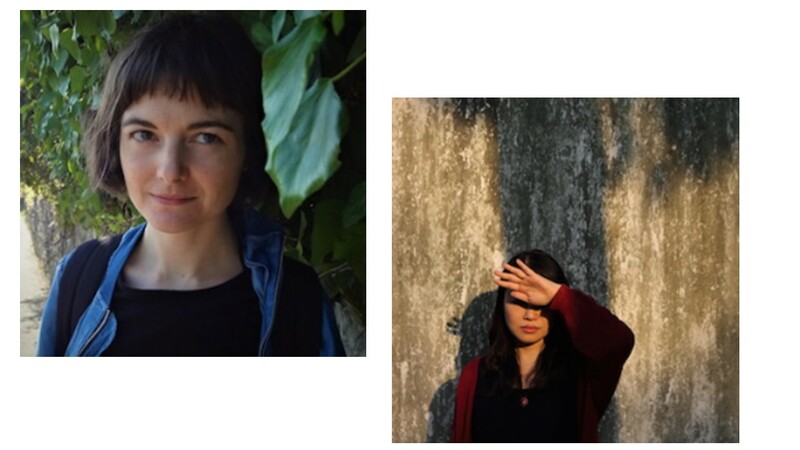 The annual residency, called Art OmiTranslation Lab, offers the chance for author and translator pairs tofocus in detail on a text, while also emphasizing translation as a means towards cultural exchange. NH: What were your expectations for the residency? NB: Things we knew to expect: twelve days to use however we liked, spent with three other translator-writer pairs. My Google image searches also suggested that the Hudson Valley might be pretty in late autumn. And all this turned out to be true! The other translators and writers were Elisabeth Lauffer translating Anna Weidenholzer from German; Hope Campbell Gustafson translating Ubah Cristina Ali Farah from Italian; Samuel Rutter translating Cristina Sanchez-Andrade from Spanish. Reality even exceeded my Google image search expectations: for a few days, deer frolicked outside our Hudson Valley windows, then winter arrived and turned everything to very beautiful snow. NH: Did you and Dorothy cook up a plan in advance? Eldes Tran is an associate editor at Epigram, an independent publisher in Singapore. She has worked with non-fiction and literary fiction authors, and has helped developed children’s books, from picture books to middle grade. She here explains how a manuscript becomes a book. Indie spotlight focusses on self-published authors and self-publishing. 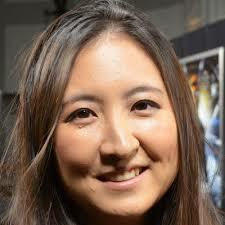 Alexa Kang is a Boston-based, Chinese-American author who publishes her Shanghai Story trilogy, World War 2 historical fiction, through her own house, Lakewood Press. You can read about book 1, Shanghai Story, here. 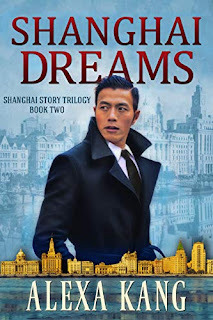 Shanghai Dreams is the second book in the trilogy. It tells the story of Clark Yuan, the Western-educated son of a prominent Chinese family in Shanghai who became a KMT operative, and Eden Levine, a Jewish refugee from Munich who came to Shanghai with her family to seek safety and a new life away from the Hitler regime. One of the characters, John Rabe, is based on a man who existed in real life. Rabe was a Nazi who nevertheless saved many lives. Alexa here discusses the complexities of depicting a Nazi character in a sympathetic light. 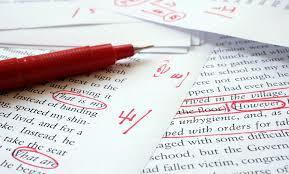 Indie spotlight focuses on self-publishing and indie authors. When Christie Dao, a Vietnamese-American now based in Singapore, self-published her inspirational book, Actualize Your Dreams, she felt it was important to work with an Asian-American editor. She chose Crystal Watanabe. Here, Christie interviews Crystal.